Every person bears the inherent gift of the likeness of God. Human dignity cannot be taken away — not by any one, any government, or any public or private entity. We honor human dignity by generating, affirming and ensuring human rights. Peoples transact these obligations with each other, with their governments and in the international community. Human rights include freedom of movement, adequate livelihood, decent job, living wage, and freedom from discrimination based on race, gender and class. Human rights constitute the right to live freely in safety and without fear, including recourse to a justice system that fairly redresses grievances wherever people are located. Any system or process that ignores human dignity is an affront to God’s will and violates human rights. Migrants are human beings with dignity and worth who cannot be reduced to mere commodities traded and exchanged in the global market place. Not even structures of injustice in the global market system can strip them of their dignity and worth. A true and meaningful dialogue includes migrants as subjects of their own destinies and puts primacy to their human rights and welfare. Such dialogue must not be limited to migration as a strategy for development. We must challenge policies and priorities set by international institutions and national governments that allot more funds to profit enterprises and military and defense budgets and lesser to education, health, decent labor and the environment. Freedom of movement is a human right that allows peoples to forge human relations and found sustainable communities. Forced migration is a violation of human rights. Violent situations, environmental degradation, militarization, wars, lingering conflicts and political persecution in countries have resulted in internal displacement and forced and external movement of peoples that have produced asylum seekers and massive numbers of refugees. Under such conditions, people have fled their communities and sought refuge elsewhere, including in other countries. In situations like these, indigenous peoples, women, children, and peoples with disabilities who are migrants or are family members of migrants are especially more at risk and vulnerable. A meaningful dialogue on migration must address these, including refugees and asylum-seekers. Exploitative economic conditions, unregulated and expanding access of multinational corporations to natural resources, extreme poverty, and natural and human-made calamities have forced peoples to migrate. Under forced migration, there are little or no viable and sustainable options. This could mean living in sub-human conditions that diminish self-worth and limit the full enjoyment of human rights. Enjoying their human rights means being protected from racism, racial discrimination, xenophobia and related intolerance. It means women are liberated from gender-based economic, political and cultural systems and structures. Only then, migrants fully and freely contribute to the sustainable development and well-being of not just themselves but of their host countries. The prophet Micah envisioned what makes for security and sustainability: “… They shall all sit under their own vines and under their own fig trees, and no one shall make them afraid; for the mouth of the Lord of hosts has spoken”(Micah 4:4). This vision addresses the right of all peoples to stay, prosper and live with provision and without fear anywhere, be it in their own countries or as migrants in another. This vision shapes our understanding of development that respects, protects, and fulfills the human rights of all peoples irrespective of their location and status in life. As churches and ecumenical communities witnessing with migrants, we give premium to concerns and human rights struggles of migrants and their families which are about their dignity, the viability of their family relationships, and the security and sustainability of their communities wherever they are found: in their homelands or in other lands. By asserting the universality of human rights, we also assert the inclusive character of human rights of migrant workers: their civil, political, economic, social, and cultural rights. We enter into dialogues on migration cognizant of migrants’ stories and narratives and their critique of neoliberal globalization, especially its impact on their lives, livelihoods and social relations. The magnitude of neoliberal globalization, and attendant deepening of structural inequalities within countries, and between countries and regions, have commodified further both human beings and their labor, unduly privileging profit and unsustainable development practices. Under neoliberal globalization, measures for the respect and protection of the rights and welfare of migrants and their families, and the right to development of nations, have been subordinated to considerations about financial costs and benefits for migrant origin and destination countries. Exploitation of migrant workers and grave violations of their human rights have taken numerous forms, including labor flexibilization, human trafficking, sexual abuse, harsh living and working conditions, social exclusion of migrants including marriage migrants, domestic workers, au pairs, refugees, and child laborers. The abuse becomes even more tragic, and support and protection more acute among undocumented migrants. We uphold the dignity of migrants and their families by protecting their human rights regardless of their legal status. Tragically, not a single country of migrant destination has ratified the United Nations Convention on the Protection of the Rights of All Migrant Workers and Members of their Families (2003). When viewed from the framework of human rights, the well-being, safety and sustainability of migrants becomes as urgent as their fight for justice. Bilateral and multilateral negotiations all too often focus on the management of migration for the maintenance of economic prosperity and security of destination countries. These negotiations have resulted into restrictive migration and immigration legislations, including job and wage conditions that are far from decent and sustainable, thus violating migrants’ rights and disregarding their concerns. We resist the unfettered movement of capital while the movement of peoples is highly restricted. Managing migration for development perpetuates global and structural inequalities and obscures the unjust international trade, investment and financial regime set by the advanced countries This regime leads to the destruction of livelihoods and the basis for sustainable development in poor countries and forces millions of working people to seek economic opportunities in foreign lands. The negotiations largely ignore centuries of colonial and neo-colonial exploitation and plunder that have consigned colonized countries to perpetual bouts of extreme poverty internally and economic dependence externally. A human rights and sustainability-based framework on migration recognizes fundamental issues of global inequality and injustice and moves to address them. The failure of the Millennium Development Goals (MDGs), even with some strides among its modest targets, lies in the gutting out of human rights as a fundamental framework for eradicating poverty and mobilizing national and international political will and cooperation. A post-MDG, post-2015 development agenda must contemplate on sustainable development goals that include clear policies that eliminate the overreliance on migrant workers by migrant sending countries for their hard currency reserves and on migration as an engine for national development. The overemphasis on migrant remittances serves to inflate governmental assessment of Gross Domestic Product but is in fact a flawed representation of development. Such representation provides excuses for governments to disregard the structural problems of poverty, unemployment, and weak economic fundamentals, such as just taxation on business and corporate interests. Policies on migration must effectively reduce social inequalities by addressing the underlying global and social structures that perpetuate economic imbalances that induce and include migration, among many others. Such policies must include fostering sustainable development and the generation of employment that includes decent jobs and wages and respect for labor rights. Migrants are organizing and resisting. They are challenging structures that perpetuate their continued oppression and exploitation. Their resistance and organizing are evident at the Churches Witnessing with Migrants (CWWM) consultation and at the International Assembly of Migrants and Refugees (IAMR). Therefore, we echo the call of the Campaign for Peoples Goals for Sustainable Development for a truly just and transformative development framework aiming to redistribute wealth, power and resources between countries, between rich and poor and between men and women. This is a call for “development justice” whose overall goal is the full realization of human rights for all, and the individual and collective well-being of the people and the environment. Migrants are truly the ones who speak best about their hopes and aspirations and about how to advance and protect their rights and interests. We must prosper the critical principle of representation by and leadership of migrants and migrant organizations in all levels of policy engagement and decision-making processes that are about them and affect them. The biblical injunction is this: “Keep loving each other like family. Don’t neglect to open up your homes to guests, because by doing this some have been hosts to angels without knowing it” (Hebrews 13:1-2). Migrants are not just neighbors; they are persons equal in rights and dignity like everyone else. Taking migrant concerns as our concerns, and asserting migrant rights as human rights, means we are entertaining angels, no longer unawares, but with full knowledge of who they are and what their aspirations are: bearers of God’s likeness and instruments of God’s compassion and hospitality, justice and peace, abundance and sustainability. a) Institute a mechanism to review periodically the adherence of states to instruments for the human rights of migrants. Conduct this periodic review under the purview and auspices of the United Nations with the conducting body having the mandate of the UN General Assembly to call the attention of states and stakeholders in migrations to violations of the rights of migrants and to propose necessary policy recommendations for consideration of the states and entities concerned. b) Promote dialogues of cooperation between particular countries of origin and countries of destination that will focus on joint actions and services for migrants, especially those in distress. c) Promote the regulation by states of private recruitment agencies and private financing agencies providing loans to migrants. Conduct transparent, accountable and effective investigation and prosecution of private actors exploiting the vulnerability of migrants. d) Adopt and implement policies that shall protect sectors of migrants in vulnerable conditions, including domestic workers; undocumented migrants and migrants in similar irregular situations; low- and semi-skilled migrants; migrants in conflict situations; migrants affected by climate change; and migrant women, youths and children. e) End frameworks conceived and implemented by migrant-receiving countries that classify migrants as threats to national security. f) Urge governments to ratify and implement relevant United Nations and International Labor Organization (ILO) treaties and conventions, and amend their national laws to be consistent with such treaties and conventions, especially the UN Convention on the Protection of the Rights of All Migrant Workers and Members of their Families and the ILO Convention 189 concerning decent work for domestic workers. g) End schemes designed by governments and other entities to extract cheap labor from refugees and migrants. Our call is to do justice as we oppose forced migration and speak against clear and present violations of the rights of migrants and their families. We pray that our responses remain true to faith imperatives for compassion and hospitality, for justice and peace, for human dignity and human rights, and for freedom and sustainability, which we hold and share with other religions and faith communities. We pray that our responses do not fall short of the abundance of God’s unconditional love and profuse radical hospitality. This advocacy paper was the product of consultations by some 100 representatives of sixty-one grassroots, local, regional and international organizations of migrants and religious and ecumenical groups which met on 1 and 2 October 2013 at the Church Center for the United Nations in New York City for the Fourth International Consultation of the Churches Witnessing With Migrants. The consultation was held in conjunction with the 2013 Second High Level Dialogue on International Migration and Development by the General Assembly of the United Nations. For more information on CWWM, contact Mr. Mervin Toquero of the National Council of Churches in the Philippines at cwwm2013@gmail.com and mtoquero@gmail.com. According to the Asia Pacific Mission for Migrants, marriage migrants are those whomarry foreigners and live outside their home countries. In such marriage, many of whom are women, the migrant leaves the home country and in the country of the spouse will face different forms of discrimination, exploitation and domestic violence. See http://www.apmigrants.org/papers/09.htm. This regime of international trade, finance and investment, under the auspices of the World Bank and the International Monetary Fund, and other international financial institutions, has spawned agreements and arrangements like NAFTA, CAFTA and APEC that perpetuates the continued commodification (also commoditization) of migrants. The formation of the International Migrants Alliance, Migrante International, and the Alianza de Ex-Braceros del Norte, and the holding of the International Assembly of Migrants and Refugees (IAMR) and the Churches Witnessing with Migrants (CWWM), among others, demonstrates the resolve by migrants and migrant organizations, including religions and faith communities, in resisting dehumanization, marginalization and disempowerment. The CWWM in New York and the IAMR is the fourth convening of these groups. These six calls echo and add to the positions submitted by the International Migrants Alliance to the 2013 Second United Nations High Level Dialogue on International Migration and Development. The following eight areas of action were agreed upon on October 1, 2013 by participants of the 4th International Consultation of Churches Witnessing With Migrants held at the Church Center for the United Nations in New York City. 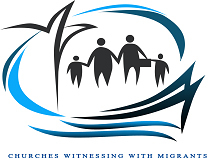 The National Council of Churches in the Philippines will continue as the Secretariat of CWWM, and will lead in the planning for continuing engagement by CWWM, including at meetings of the Global Migration Forum on Development (GFMD). (The next annual meeting of GFMD is in Stockholm, Sweden in May 2014). The values of compassion and hospitality, justice and peace, human dignity and human rights, and freedom and sustainability, affirmed in the advocacy paper approved at CWWM4 are shared values among religions and faith communities. The framework of the witness of churches with migrants after CWWM4 will be simultaneously ecumenical and interreligious. Participants committed to advance the analysis and calls contained in the CWWM4 Advocacy Paper at every venue, occasion and organizational level in which each is involved. Experiences, including best practices and models of engagement will be shared through the Secretariat. Create study guide(s) to elaborate on the Advocacy Paper aimed at varied audiences and purposes. Such Study Guide(s) will refer to the WCC document “The ‘Other’ is My Neighbor”. Documentation of CWWM4, including presentations, the Advocacy Paper, list of participating organizations, the study guide(s) will be shared with participants, initially as electronic files, and hopefully in a published form. Organizations that were represented in the CWWM4 will be listed by name, with their organizations listed for affiliation and identification purposes only. Organizations who were co-organizers of CWWM4 will be identified as such. CWWM encourages other organizations to study and endorse the Advocacy Paper. The CWWM4 Advocacy Paper will be translated into various languages.